Have you “liked” the Joytime Ministries Facebook Page? Go to the Joytime Ministries Facebook page (www.facebook.com/joytimeministries) and click, “like”. 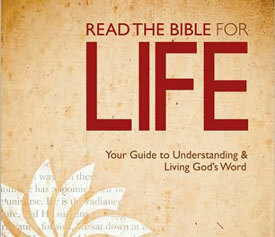 In September, I will be giving away a copy of Dr. George Guthrie’s best selling book, “Read the Bible for Life”. Stayed tuned for more information on when the drawing will take place! Joytime Event with Mike Weaver!